Nobody wants to look old before their time, which is why so many people spend so much money on fighting the signs of ageing. Cosmetic surgery procedures are now commonplace in the quest to look eternally youthful, although such extreme measures are not accessible to everyone. Preventing the premature signs of ageing is preferable to fighting them, which is why it’s never too early to start thinking about how you can keep those fine lines at bay. There are several factors which contribute to skin ageing prematurely- including poor health, sun damage, extreme climatic conditions, very dry skin and smoking. If your skin is starting to look a little bedraggled well before its time, the good news is that if you take action now you really can make a visible difference. The first step in getting your skin back to its supple best is to determine the root cause of premature skin ageing. Not only will this help you to combat the problem, it will also help you to avoid any future issues. 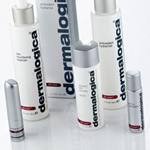 Once you have identified the problem, your next step should be to take a look at some of Dermalogica’s fantastic products for prematurely ageing skin. From Dermalogica Multivitamin Power Recovery Masque to their great range of cleansers and moisturisers, Dermalogica have everything you need to give your skin a whole new lease of life!